Sublime, sophisticated, refined.Conceived and constructed over a period of three years with no budget limitations (“Only the best!" was the mantra), Villa Firenze is simply the finest and most amazing Italian palazzo in Central America, rivaling those in Monaco, Bel Air, Beverly Hills and even Italy. Elegant and opulent design, an endless number of posh custom finishes, original art, Lutron lighting system, many tons of imported Jerusalem limestone, unique cedar bathroom vanities with sinks of rare and beautiful stone, a scent garden in the central courtyard which is formed by elaborately detailed arches, and so much more combine to make a home that will captivate all of your senses from the moment you enter. 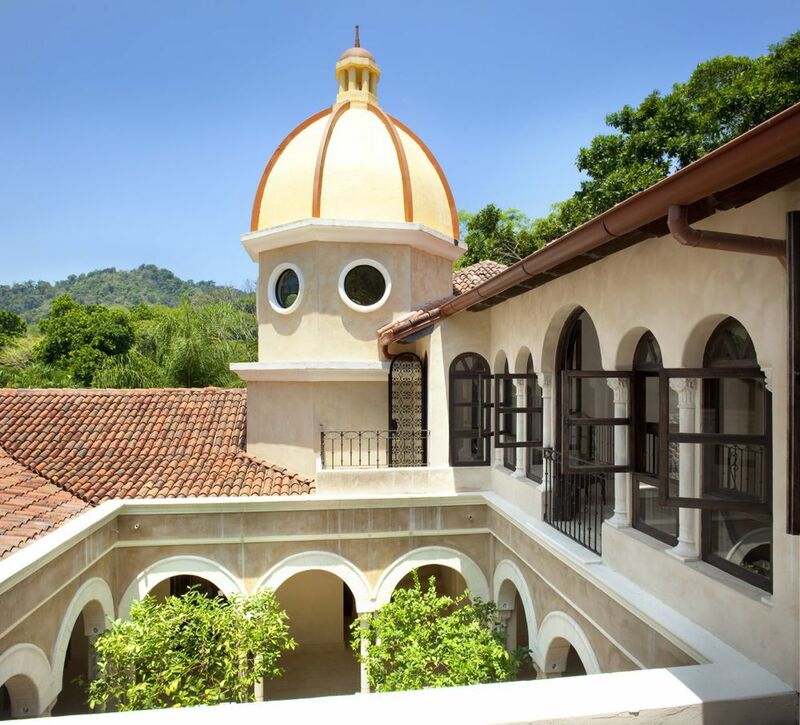 Villa Firenze at Los Suenos Resort: Old and New Worlds come together at Villa Firenze, a stunning Italian palazzo set in the Costa Rican jungle. 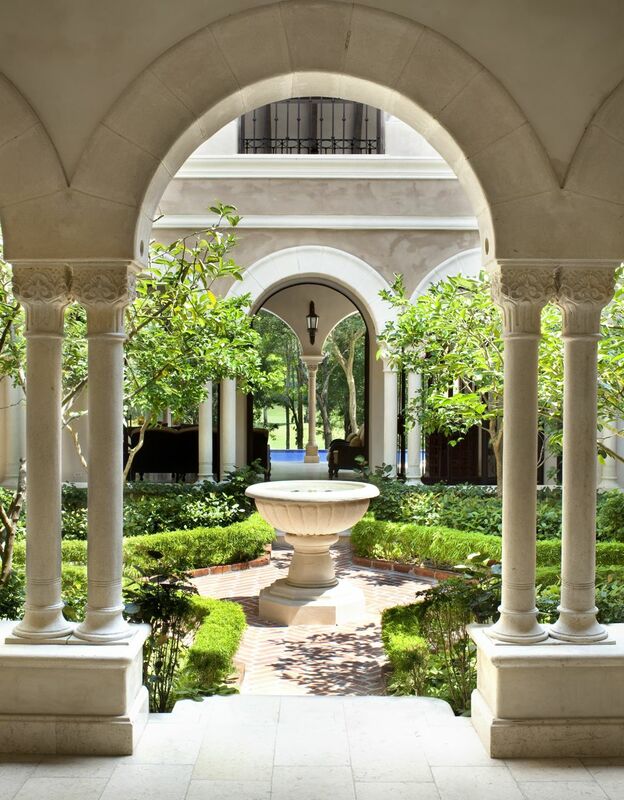 From its magnificent central courtyard and citrus garden to its custom metalwork and imported Jerusalem limestone, this opulent estate features only the finest architectural details and finishes. A property whose sophistication and attention to detail is unmatched in Central America, Villa Firenze is absolutely one of a kind. Privacy and Proximity. Nestled in the jungle with a view of the fairway in the distance, Firenze offers complete privacy and security from the outside world plus ample space to find solitude within the Villa's aprox 9,000 square feet. Villa Firenze is ideally located in the Eco-Golf Estates of the world class Los Sueños Resort & Marina; the resort's beach club, marina, spa, and restaurants are just minutes away, and countless other adventures and activities await nearby. 5 Kings, 5 Bathrooms, Accommodates 10 Adults. Each of Villa Firenze’s four luxurious Master suites offers a king-sized bed, full en suite bathroom, and walk-in closet; the Master suites are set far from one another, designed to allow couples to find their own retreat. Firenze's library converts to a perfect fifth bedroom, with a luxury king-size sleep sofa equal in comfort to a conventional king bed and with bathroom across the hall. If needed, one of the upstairs Masters offers an additional queen-sized sleep sofa for children. Modest staff quarters with a twin bed and bathroom are available above the kitchen. Luxuriate Outdoors. Full of fountains and water features and surrounded by jungle and flowers, natural elements are integral to Firenze's beauty. Enjoy morning laps, an afternoon cool-down, or evening dip in Firenze’s magnificent 50 ft. infinity pool with walk-in spiral jetted spa for eight. The grand covered terrace, with its 28 ft. beamed ceiling and restaurant-quality gas grill, provides the perfect area for dining or entertaining. Every Amenity, Every Occasion. Entertain with Firenze’s gourmet kitchen, equipped with walk-in refrigerator, butler’s pantry, and two dishwashers. Take in your morning coffee or a nightcap on the second floor terrace kitchenette. Create the perfect ambiance, indoors or out, with the stunning Lutron lighting system and the Sonos music system’s extensive music selection. And at the end of the day, sleep soundly on fine linens. Stay Connected with wireless internet, Vonage telephone with US area code, and US satellite channels on flat-screen TVs in the living room and every bedroom. Additionally, the estate is equipped with full laundry facilities, full-time maid plus supplementary daily maid service, two-car garage, electric golf cart charging station, and a parking area for two additional cars.